Since launching in 1997, Unibet has prided itself on a slogan of ‘by the players, for the player’. After racking up a customer base in excess of 10 million registered members, it’s fair to say that they have delivered. The Swedish-owned company is now consider one of the biggest online bookmakers in Europe. This is largely down to their huge offering of football markets from multiple leagues all over the world. If you’re a football punter, then opening an account is advised. As an exclusively online company, it will come as no surprise that Unibet places a lot of effort in getting the design of its website just right. The colour scheme of white and green is particularly pleasing to the eye while the responsive page is easily navigated to. A list of shortcuts on the left-hand side allows members to quickly browse the most popular events and markets. Meanwhile, toolbars at the top of the page enables the user to switch from the sports section to other areas (casino, live casino, games, bingo and poker) with just a single click. As far as user-friendliness is concerned, Unibet has it nailed. Moreover, the website’s innovative PS-EDS player safety features not only ensure that your account stays safe, but it also registers early signs of gambling addiction and problematic habits. Unibet is a very responsible bookmaker, underlining that slogan of being for players once more. Right now, Unibet are offering new customers a refund of up to £20 in free bets if your first bet is a loser. For instance, if you deposit £20 and the bet loses, Unibet will refund that £20 in the form of a free bet. There’s never been a better time to sign up. A large part of Unibet’s success can be attributed to the fact they offer such a fantastic In-Play console. In 2015, the bookmaker claimed the IGA award for In-Play Sports Operator of the Year, emphasising their strength in the market. Finding live selections is easy while placing your chosen bet takes just seconds. The football coverage is particularly pleasing, which is yet another reason to open an account. Unibet is committed to producing a great experience for the customer. As such, they provide a number of extra informational tools to ensure that members have all the information needed to make a better selection. Whether it’s reading expert opinion or checking the latest results, effective use of these tools can work the odds back in your favour. The Swedish-owned company was one of the first to tap into the notion of online sports betting. Quite predictably, they were also one of the first to see the potential of mobile gambling. They now boast an array of Apps aimed at the different sections of play, and the sports one is particularly useful. Many bookmakers fail to make the transition to the small device, but the Unibet App is particularly responsive. This means you can get your bet on no matter where you are. Perfect. Members can also watch hundreds of streamed events every month. Combined with the In-Play features, you’ll be able to bet on the markets based on what you see. Unibet started out by targeting the Swedish and English markets. But nowadays, it serves customers in over 100 countries and provides its service in over 25 different languages. Their customer service facilities are notably excellent too. Live Chat is available on a 24/7 basis while the telephone lines are open from 7AM to 1AM in the UK too. With call response times regularly under 30 seconds, it’s one of the best care teams on the market. Alternatively, members can use email to solve their queries too. Unibet accepts a number of secured payment methods. The list includes; Visa, Visa Electron, Ban transfer, Paysafecard, PayPal, Skrill, NETELLER, Mastercard, Maestro, and Earthport. For punters seeking an enjoyable platform with tight odds margins and the option to bet on the go, Unibet is a fantastic solution. With the new members promotion currently on offer too, now’s the time to start. Virtual Sport Betting: What the Heck is it? Football Accumulator Betting Tips Saturday 24th February – Back Our EFL Treble? 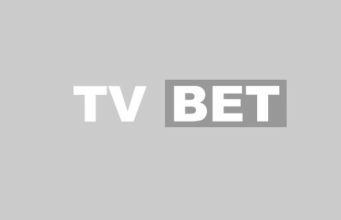 The betting predictions published in our newsletter and on the TVbet.co.uk website are meant only as an opinion and we cannot be held responsible for any losing bets that may come as a result of following them. Always know your limits – Have a staking plan – Bet responsibly.